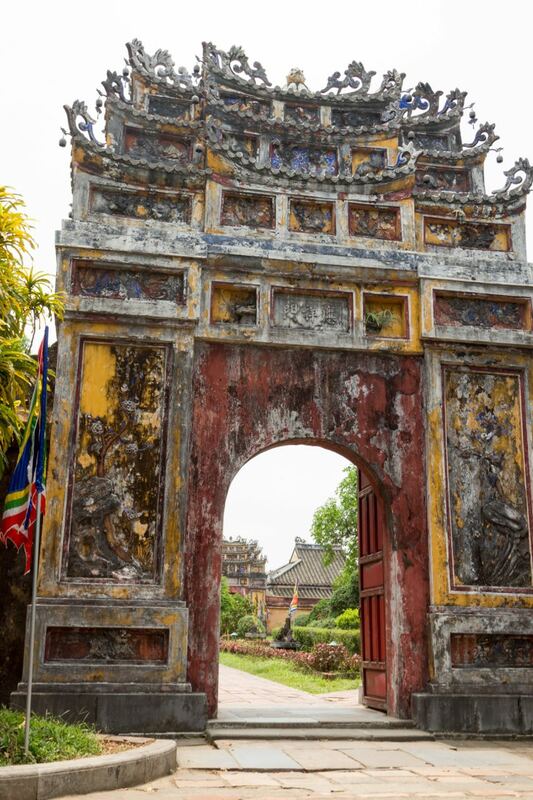 Here’s part 4 of Myles Stone’s Viet Nam Diary.– a day exploring the former imperial capital of Hue, which combines both ancient and modern history, including stark reminders of the Viet Nam War. For those who missed Myles’ previous three posts, he’s a Tucson physician who recently spent two months in Hoi An, Viet Nam, with his wife, Aimee, and baby daughter, Mimi. They were joined for part of their stay by my son, Grael, his wife, Nona, and baby son, Conrad. How did two toddlers do in Viet Nam? Just fine. 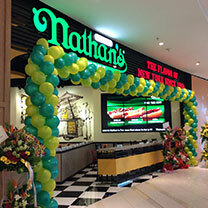 Where in Asia would you find this location of Nathan’s Famous hot dogs? Answer: Malaysia. Photo from Nathan’s Famous. Here are the answers to the How Much Do You Know About Independence Day? quiz from my previous post. (If you haven’t taken the quiz yet and want to, I’d suggest returning there first.) Some of these questions were tricky, others merely difficult, and a few were relatively easy, especially with True or False questions offering just two choices. The multiple choice questions seemed to give people the most trouble, based on feedback I received. Thanks for joining in, whether Baby Boomers or younger! 1. True or false: As one of the 13 original colonies, Vermont was the only one that refused to ratify the Declaration of Independence. Answer: False. Vermont was not one of the original 13 colonies. Where in Asia would you find this location of Nathan’s Famous hot dogs? Photo from Nathan’s Famous. Americans all know about fireworks, barbecues, hot dogs, parades and the other modern-day manifestations of the July 4 holiday, but how much do you really know about Independence Day, especially as it relates to travel or travel destinations? 2. Which U.S. president was born on the Fourth of July in Plymouth Notch, Vermont? A dramatically perched fortress tops Mount Titano. Photo by Catharine Norton. In a recent post, I noted that the tiny Republic of San Marino, which is entirely surrounded by Italy, was number one on my personal bucket list. The main reason was that it was the only country in Western Europe that I hadn’t visited, and that since I would be visiting Italy soon, I could then cross it off my list. 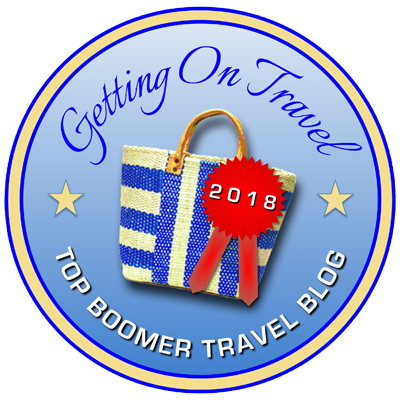 Of course, I also wanted to go for all the reasons I want to go anywhere — seeing what there is to see and, I hope, enjoying it — but I admit the list thing was the top consideration. As it happens, I did visit Italy shortly after the post appeared, and I did make it to San Marino — whose irresistible full name is The Most Serene Republic of San Marino. Do You Have an Aptitude for Italy? It features a number of “exam” questions that, in a humorous way, are designed to get you thinking about whether you’d rather spend this January in Italy — on their 10-day tour of Rome and Naples called “Fundamental Italy” — or back home in the U.S. in the dead of winter. In our last two posts, we took a look at some of the most popular travel-related bucket list destinations and activities based on a survey of 1,000 travelers by the website TotallyMoney.com. You can view those results, and my comments, by clicking here and here. While my own experiences with a few of the items — such as gambling in Las Vegas — were on the margins (in the case of Vegas, dropping a few quarters into slot machines), I had pretty much done all those on the list.